Age Restrictions: Suitable for ages 5+. Children under 18 months of age are not permitted. When Stella sets off to visit London with her parents, Lord and Lady Saxby, she has no idea her life is in danger! When Stella sets off to visit London with her parents, Lord and Lady Saxby, she has no idea her life is in danger! Waking up three months later, only her Aunt Alberta can tell Stella what has happened. But not everything Alberta tells her turns out to be true and Stella quickly discovers she’s in for the fight of her life against her very own awful Auntie! 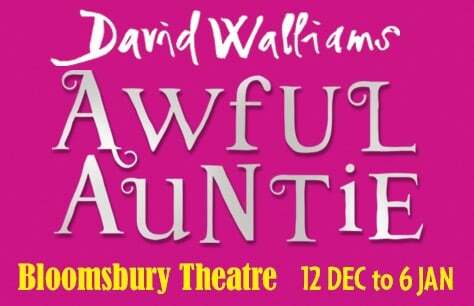 From the award-winning West End producers of Gangsta Granny comes the world premiere of David Walliams’ amazing tale of frights, fights and friendship, featuring a very large owl, a very small ghost and a very awful Auntie! All children require a ticket.